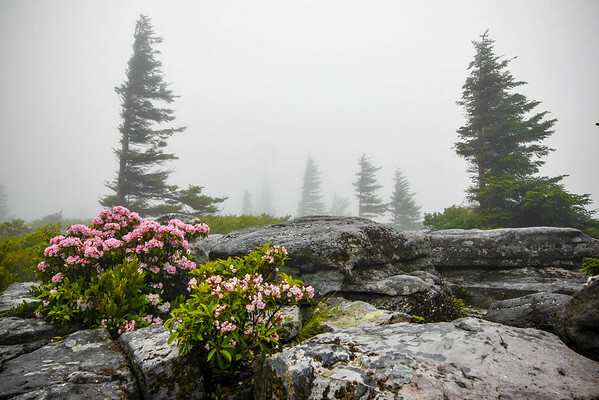 Fog enshrouds the flagged pines of Dolly Sods, as the showy mountain laurel is unaffected. "The fog comes on little cat feel. It sits looking over harbor and city on silent haunches and then moves on."